Born in Italy twenty years ago, the FXC - Fireball Extreme Challenge, after its success in Mexico, the United States and its introduction in Spain last April, returned to Italy to the capital of the Campania region with an event that saw teams from Mexico, Spain and the African continent challenging six teams representing Italy, giving life to a unique event. 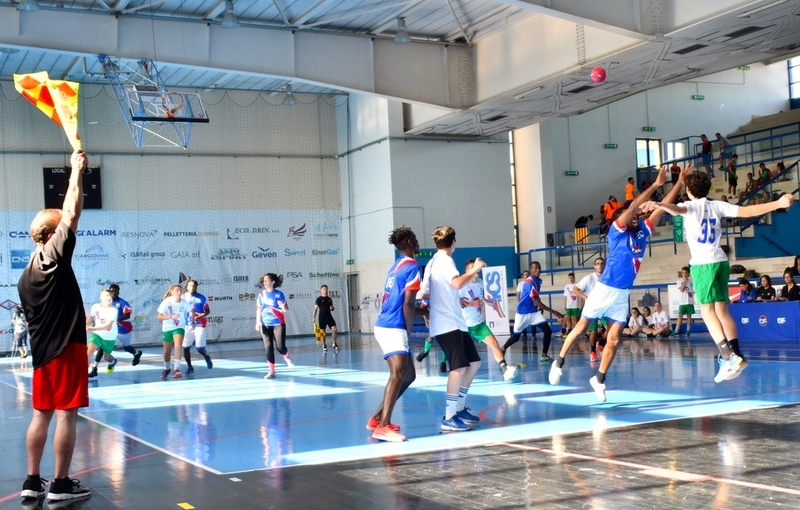 The 1st International FXC - Fireball Extreme Challenge Tournament was organized last October in Naples (Italy) and has just relaunched the sport as a tool for inclusion and social integration, against all kinds of discrimination. FXC - Fireball Extreme Challenge is, in fact, a coed discipline, where the participation of men and women in the same team is mandatory and any difference in the treatment between sexes has been eliminated. The Catalan team, led by coach Jordi Luceas Espinas, won the trophy and the € 2,000 cash prize. The Spanish champions are being called to defend the title in the next FXC events: FXC - Fireball Extreme Challenge will have an international championship in Veracruz, Mexico, on March 23rd and 24th, 2019 and a third international competition during the 6th CSIT World Sports Games Tortosa 2019, Catalonia, from the 2nd to the 7th of July. The Challenge in Naples was organized in collaboration with the support of AICS - Italian Association of Sports Culture. "Agility, resistance, fun, but also spirit of cohesion and social inclusion: these are the fundamental characteristics of Fireball, we find the spirit of AICS, that of promoting sport for all," said the national AICS and CSIT president Bruno Molea. The event was also awarded by personalities in the world of sports who have distinguished themselves by the results achieved during their career: the Olympic gold winner Sandro Cuomo, the Olympic Patrizio Oliva, the karate and judo legends 7th Dan Domenico Maurino and the 7th Dan Tullio Carmeni. "FXC is fun, explosive and can be played by everyone, anywhere! All you need is a ball," said Cristina Giordana, National Delegate of the International Federation of FXC Spain - Fireball Extreme Challenge. This accessibility and the fact that is a coed sport, explains the success achieved so far and the adhesion of important entities such as those that we have here in Spain and in particular the Pia School in Barcelona, which has always been committed to offer young people high-level sports activities educational value”.